A110-1 MODEL ACFT TFC WITHIN A 1 NM RDS OF A POINT 8 NM ON A 010 DEG BRG FM THE ARPT; SFC - 5000 FT AGL; SR-SS DLY. 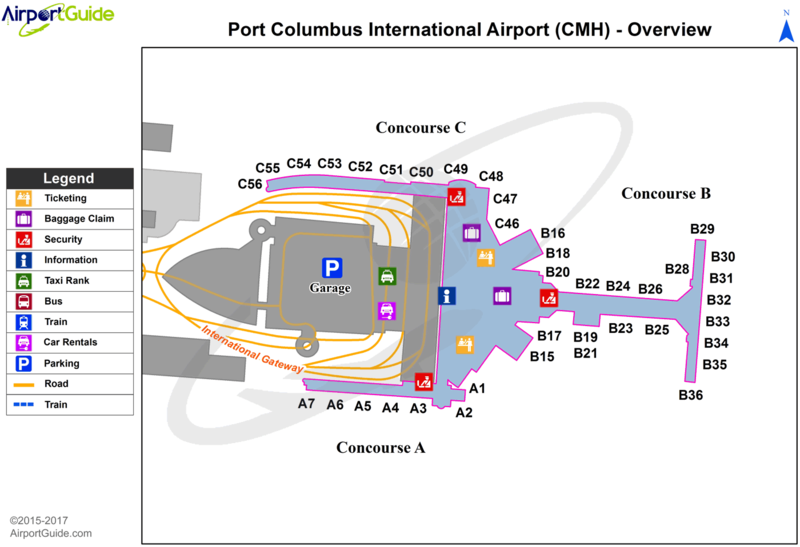 A110-12 ALL SURFACES AROUND TERMINAL; NORTH OF TWY 'D' & SOUTH OF TWY 'E' ARE NON-MOVEMENT AREAS. 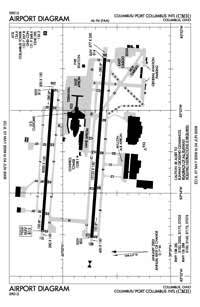 A110-18 NOISE BARRIER LOCATED AT SE SIDE OF AIRFIELD RESTRICTED TO ACFT WITH WINGSPAN LESS THAN 79 FT.
A110-20 TO REQ LDG RIGHTS CTC US CUSTOMS BETWEEN 1230-0300Z, MON-FRI AT 614-497-1865. A110-21 FLIGHT NOTIFICATION SERVICE (ADCUS) AVBL. A110-26 TWY F1 RSTRD TO AIRCRAFT WITH WINGSPAN LESS THAN 120 FT.
A110-30 TWYS R2, R3, R4, R5 AND R6 RSTRD TO WINGSPAN LESS THAN 118 FT.
A110-31 TWY R1 RSTRD TO ACFT WITH WINGSPAN LESS THAN 79 FT.
A110-33 TAXILANE CONCOURSE A BTN TWY D3 AND TWY D4 CLSD TO ACFT WINGSPAN MORE THAN 130 FT.
A110-34 TAXILANE CONCOURSE C BTN TWY J AND TWY K CLSD TO ACFT WINGSPAN MORE THAN 135 FT.
A110-6 TWY D-5 PAVEMENT (NORTH OF TWY D) IS RSTRD TO ACFT WITH WINGSPAN LESS THAN 79 FT.
A110-7 BE ALERT: RY 10L/28R RESTRICTIONS ON STAGE I & II TURBOJET ACFT 2200-0800 & ON STAGE III TURBOJET ACFT 2200-0700. PRACTICE APCHS FOR HIGH NOISE LEVEL TYPE ACFT INCLUDING NON-STAGE III MIL JET ACFT SHALL NOT BE APPROVED UNLESS RY 10R/28L IS IN USE & THE APCH TERMINATES IN A FULL STOP TAXI-BACK OPN. A30A-10L RWY 10L BLAST PAD 200 FT X 200 FT.
A30A-28R RWY 28R BLAST PAD 200 FT X 200 FT.
E111 HEL ASP: PRVDD INGRESS/EGRESS RTES USED ARE AS DIRECTED BY PORT COLUMBUS ATCT. E80 TO REQUEST LANDING RIGHTS CTC US CUSTOMS BTN 0730-2200 MON-FRI AT 614-497-1865.